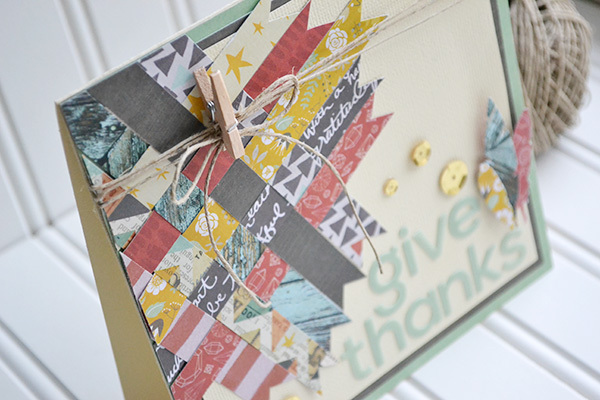 Today I'd like to share a fun Thanksgiving themed card with a cool paper technique. Patterned paper is one of my go-to products, so I love using paper as a unique design element like I did with the woven paper strips on my card. This paper weaving technique can be used on a card like mine, a scrapbook page, or other paper craft projects. This card features the beautiful Shine collection, which is perfect for seasonal projects like this. 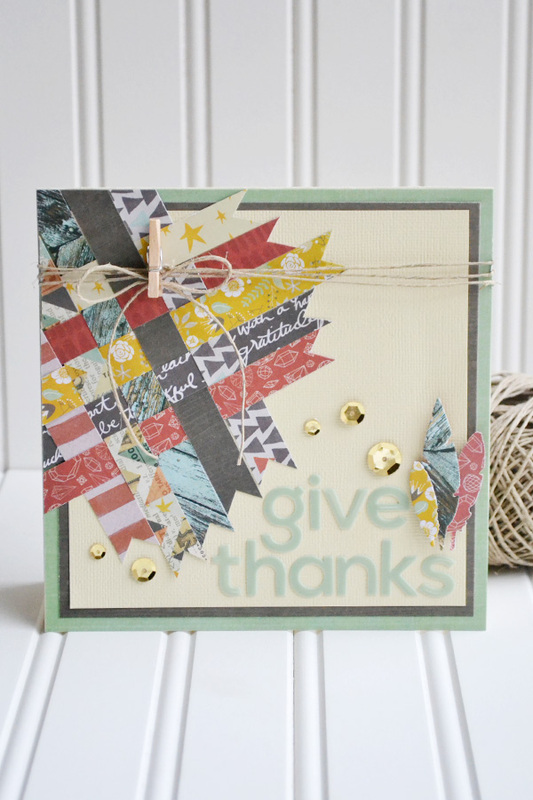 For a step-by-step tutorial on how to create this card, visit the We R blog HERE.